The contracts of R.J. Umberger and Vinny Lecavalier illustrate how the salary cap era has been a cruel, harsh ninja chop to the crotch for the Philadelphia Flyers. Long gone are the days where undisciplined spending only affected revenue. And even after blowing through two Candy Land-like compliance buyouts, the Flyers are right back in the hole they dug themselves into beforehand. But what does measuring Umberger and Lecavalier to their peers in cap numbers tell us? Surprisingly, one trip to CapGeek shows that the Flyers aren’t as strapped for space as they were entering the season. That’s good news. It’s the only good news as of now, but it’s good news nonetheless. The Flyers sit behind Pittsburgh, Chicago and Boston as the biggest spenders in the league. Yet of the four, Philadelphia is the only team with a losing record – as of Dec. 17th, anyway. Hey, at least they don’t have to look at Kris Letang’s $7.25 million cap hit for the next seven years. But in exchange for what the Flyers are looking at in terms of production per dollar, I guess that silver lining vanishes like a plane in the Bermuda Triangle. Captain Claude Giroux weighs in with the team’s highest yearly cap hit, and deservedly so. The 26-year-old’s 35 points through 30 games ties him with Tampa Bay’s Steven Stamkos and Pittsburgh’s Sidney Crosby for fifth best in the league. Giroux has been worth every bit of his eight-year, $66.2 million contract, which dispenses an $8.275 million cap hit. 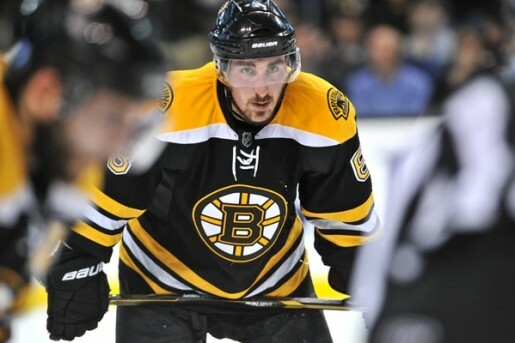 After all, his 338 points in the last five seasons is the most among any other player in the NHL. Teammate Jakub Voracek has played a nightly table tennis match with Tyler Seguin and Crosby (before his illness) for the distinct privilege of being the league’s top point getter, but accounts for under a million less than the cap hits that Umberger ($4.6 million) and Lecavalier ($4.5 million) are responsible for. Be that as it may, Voracek is in the second to last year of a current four-year, $17 million deal. And with 37 points in 30 games, the budding star is on the verge of becoming handsomely wealthy. But Wayne Simmonds’ $3.975 million hit, which runs through the 2018-19 season, is unquestionably disproportionate with the contracts of Umberger and Lecavalier. Simmonds’ team-leading 14 goals and 13 power play points make him the result of highway robbery. And at 26-years of age, the conditions of his term make for a perfect fit. Wayne Simmonds' $3.975 million cap hit till the end of the 2019 season is a bargain. GM Ron Hextall gets further relief with Brayden Schenn, Sean Couturier, and Michael Raffl. Without those three modest bridge contracts, the cap hits of Umberger and Lecavalier would substantially weigh more on the team than they already do now. Even Matt Read’s $3.625 million hit is benign since he’s a multi-40 point scorer, and sees the toughest competition night in and night out. With Scott Laughton in the first year of his entry-level deal, and Zac Rinaldo costing the cap under a million, the Flyers have three expiring contracts after the season in Pierre-Edouard Bellemare, Ryan White, and Chris VandeVelde. And after Lecavalier sat for his seventh straight healthy scratch of the season against his former team, the Flyers again, dressed four of the five forwards on their roster who individually account for less than a $1 million cap hit a piece. As it turns out, the implementation of the salary cap hasn’t been the only “newer” guideline that’s punished Philadelphia’s lavish spending. 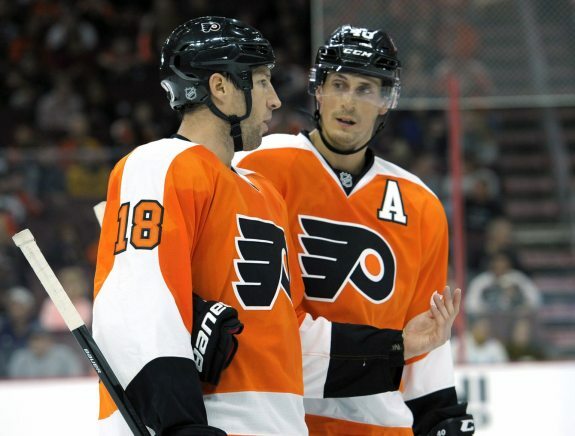 Even if the Flyers put Lecavalier through waivers and sent him to the minors – which he would have to approve since he has a no-move clause – teams in the NHL can’t bury contracts like that as they could in the last collective bargaining agreement. In other words, there’s no bailout on this one. Trading the decorated veteran is highly unlikely with his NMC, on top of his plundering value. Even if Hextall agreed to eat a portion of Lecavalier’s salary, finding the combination of a suitor that wants him and is willing to give up anything resembling value is equally improbable. Add in the fact that Lecavalier has a say in all of this, and the Flyers are left with no other option than to depend on luck, or buy him out after next season. When measuring Umberger and Lecavalier to those on the same pay scale, it’s important to acknowledge the differences in both age, and the role that player has on the team he plays for. Sure, pointing out Max Pacioretty’s $4.5 million cap hit magnifies the horrors of these two contracts. At 26, though, the cap numbers are where the similarities end. But even with certain disparities, the unsightly truth cannot be altered. In a nutshell, if you’re responsible for the cap hit that others in the league are costing their teams, you’re going to get compared by an average standard. Along with Umberger and Lecavalier, 14 other forwards with the same cap hit or less are listed. Scott Hartnell was added to the list, which shows five-on-five even strength numbers, since he was traded for Umberger, while his $4.75 million cap hit is in close proximity to the rest. Information and image courtesy of War-on-Ice. 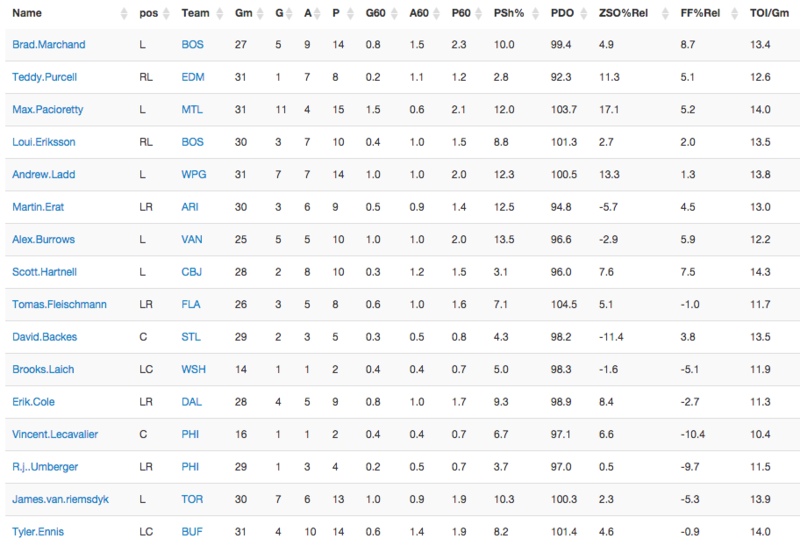 Through Dec. 15th’s games, only Brooks Laich has either the same amount, or fewer points than Lecavalier and Umberger. That’s no knock on Laich, though, since the veteran forward has appeared in only 15 games leading up to Washington’s 30th game. Go back to the 6-3 loss in Montreal recently. 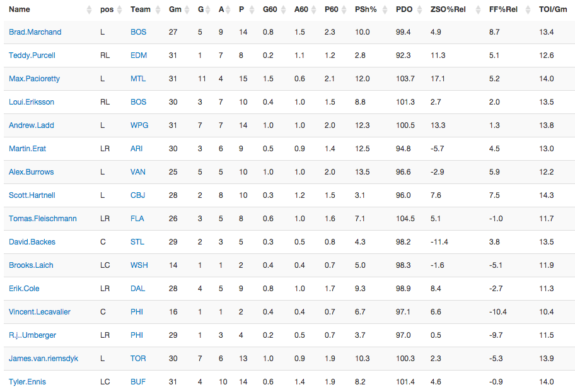 Lecavalier had 12 attempted shots that game. Six missed the net, five were blocked and only one made the crease. A decade ago, that’s a hat trick for him. Of those listed, it’s been St. Louis Blues captain David Backes that shows the worst fraction of offensive versus defensive zone starts percentage, yet Backes is well ahead of the two in relative Corsi and Fenwick-for percentage. In fact, every player on the list is, including Florida’s Tomas Fleischmann, who’s had a disappointing season to this point. Information and chart provided by War-on-Ice. 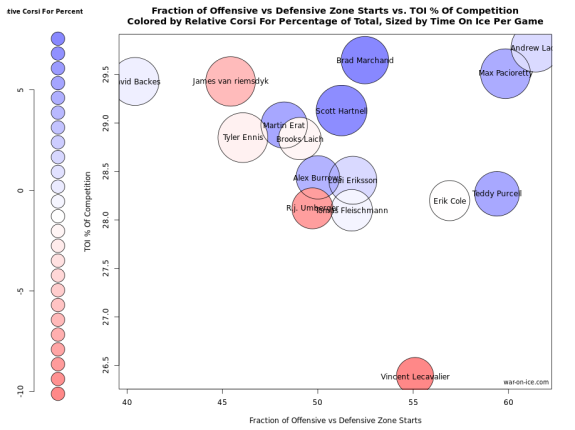 In regard to player usage, the majority of the field is not only seeing less offensive zone starts than Lecavalier, they’ve also produced more. Lecavalier’s time on ice per game – indicated by the size of the players’ circle – may be the lowest, but is comparable to that of Umberger, Fleischmann, and Dallas’ Erik Cole. When it comes to time on ice percentage of competition, the Flyers aren’t getting much bang for their stretched buck either. For Lecavalier, the field has unquestionably matched up against their opponents’ tougher components, with only four of the other 12 forwards receiving a more favorable ratio in offensive zone starts. Umberger’s zone starts may be more favorable, landing him near the middle of the pack, but that’s to be expected. The 10-year veteran has logged the majority of his minutes on the Flyers’ shutdown line with Sean Couturier and Matt Read. But even with the expected drop off in relative Corsi-for percentage, he and Lecavalier hold the worst percentages in that measurement as well among their similarly paid peers. James van Riemsdyk’s role in Toronto may not be that of Umberger’s in Philadelphia, but that doesn’t make van Riemsdyk’s better results against more difficult competition any less eye-opening. Yes, it’s a known fact that van Riemsdyk is younger (seven years). But again, it all comes down to what these guys are costing their teams in cap space. With 52 games now remaining on the schedule this season, a lot could change. Umberger himself has put together a stretch of solid performances, despite the lack of an abundance in points to show for. And with Lecavalier likely to return to the lineup soon, perhaps the 16-year-veteran can finally live up to the “bounce back” season many had anticipated. The forecast is bleak, though. When measuring Umberger and Lecavalier against their cap peers, it’s an ugly dose of reality. One that might not have been so grisly had the Flyers not mismanaged their funds again in the first place.